The team members that you work with at Frontier Custom Builders are true Professionals in their field. They represent a combination of the most experienced, creative, and hard working professionals in their field. The colleagues at Frontier are more than just order takers, they are your partners helping you to explore different options and finishes to make your experience everything you want it to be. You will find our colleagues and teams have more experience and knowledge than most and will work harder than most to help you with every detail of your project. Below you can select the profiles of our colleagues to find out more about them. I am a native Houstonian who grew up in Katy and graduated from the University of Houston with a Bachelor of Business Administration specializing in Accounting. I have two amazing daughters who I cherish everyday along with their mom. I love my work rarely taking a day off, but it is not really work if you truly love what you are doing. When I do get away from work, I spend time with my family, workout and play competitive sand volleyball a couple of times a week. Other activities I love include water skiing, snow skiing, surfing, scuba diving, and sitting on a tropical beach with one of those funny little umbrella drinks. I have spent over 25 years in the building industry. 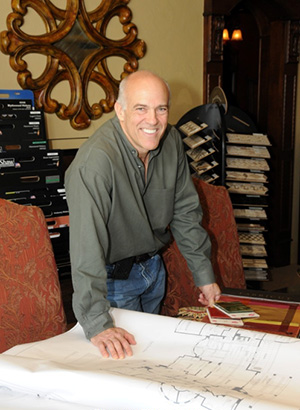 During this time, I have overseen the design and construction of over 600 custom projects. There are not very many things I have not seen or done that relates to construction. My vast years of experience with design, construction, and decorating combined with my passion that I share with the Frontier Team creates more value, greater detail, better quality, and sophisticated creativity that separates the Frontier Team and Frontier Projects from our competitors. My management strengths include time management, quality controls, value engineered services, productivity tools, and communication. These qualities are what has grown Frontier from building one home a year to one of the largest privately owned Luxury Builders in Houston and allowed Frontier to make it through the 2008 to 2012 housing crisis when few others did. Before Frontier, I was a manager at several different Kroger stores. Prior to Kroger I worked on construction sites doing framing and trim work while going to school. Both the Kroger management experience and construction site experience provided the stepping stones to what the Frontier Team is today. Our talented and experienced architecture team members have the skills and imagination necessary to create a truly unique and individualized custom home solely for you. Furthermore, our designers take into consideration any special amenities on your lot – such as golf course lots, lake-front lots, or heavily wooded lots -and use the latest in AutoCAD software to create floorplans that maximize views whole also creating stately exterior elevations. Our exceptional construction and remodeling team specializes in the construction of custom homes and all the complexities involved. They are trained on and follow Frontier’s strict quality control program to ensure your home is built correctly and conforms to our high level of standards and requirements. Frontier’s construction team are also very interactive with you during the construction process, thus creating your custom homes with you, and not just for you. Each member of our decorating/interior design team brings years of experience in the industry from the table. From matching colors and textures to creating custom window treatments and one-of-a-kind furniture, Frontier’s professional decorators have the natural creativeness, talent and passion to help you pull your dream home together, making your visions a reality. A Frontier pool brings your estate to life with architectural elements that adds character and ambiance for a great escape. Our pool and outdoor living team will design a pool is more than just recreation, it will become the place for your family to enjoy great conversations, a morning coffee and celebrate special occasions. Frontier has a fully custom audio and video department. We have highly trained staff to design and install the quality products you would expect in your home. We can handle anything from a budget surround system in your Family room / Game room, to a high end 3D projection theater room, to a whole house zoned audio system. You can pick from several proven packaged systems or have us acoustically design a system for a room. Whether you are building a new home or remodeling your existing home Frontier can provide a system that is right for you. Frontier’s automation systems integrate audio, video, surveillance, security, and climate control. With over 20 years’ experience we are able to configure custom automation systems that match the needs of each client. Whether you are building a new home or remodeling your existing home Frontier can provide a system that is right for you. Landscaping is an art of combining the architecture of your home, style of plants, forms of beds, and color palettes to create a natural and relaxing setting that you can call home. Our landscaping design team will work with you to create your own custom design based on these elements and your input, adding the last perfect touch to your lush sanctuary or sleek modern home. Our professional administrative support team is here to be an additional point of contact from our construction team. They provide access to daily information for our customers as they need it such as the status of the project, summery of costs, and selection information. Our sales team is there to provide as much knowledge and information as we can to help you make the best decision. Whether you are looking for a lot, have a few questions, or are interested in building, our friendly sales team will be happy to assist you in answering questions such as costs, different options, amenities, or anything else you want to know about.